It may have been incredibly cold, but we spent a beautiful day in Kew Gardens sightseeing the heck out of this gorgeous London park just over a week ago. 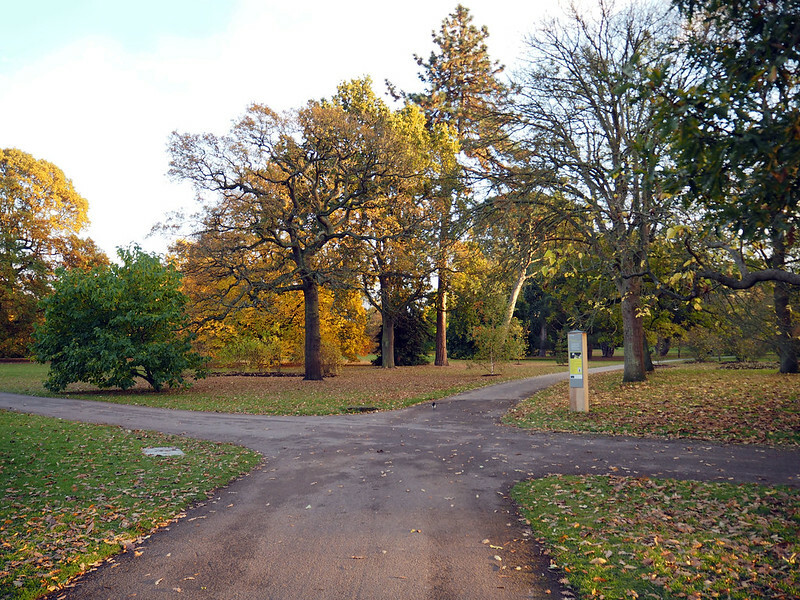 It’s one of the most beautiful places in South West London (Surrey) – I’d been to Kew when I was a kid and then again as a young adult, but never in the autumn with all the beautiful gold and red leaves everywhere. We had a delicious brunch just down the road from the gardens before making our way there, but it’s so huge we barely saw half of it despite being there for several hours. 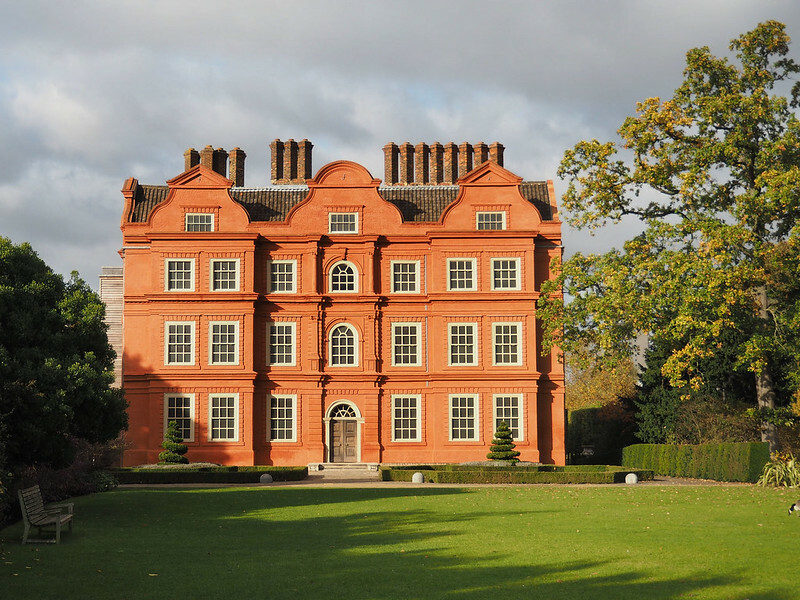 I’ve featured just some of the gorgeous buildings and structures at Kew – if you get a chance to go then I highly recommend it. It’s a lot cheaper in the winter months and autumn is obviously spectacular (if somewhat cold)! 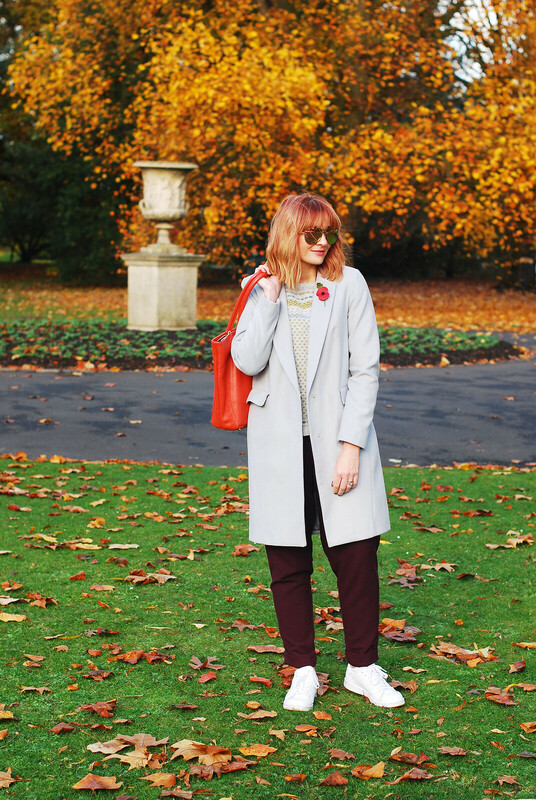 I HAVE A FEELING I’M GOING TO BE WANTING A DUSTER COAT IN EVERY COLOUR IMAGINABLE EVENTUALLY. THEY’RE JUST SO SMART AND FLATTERING. 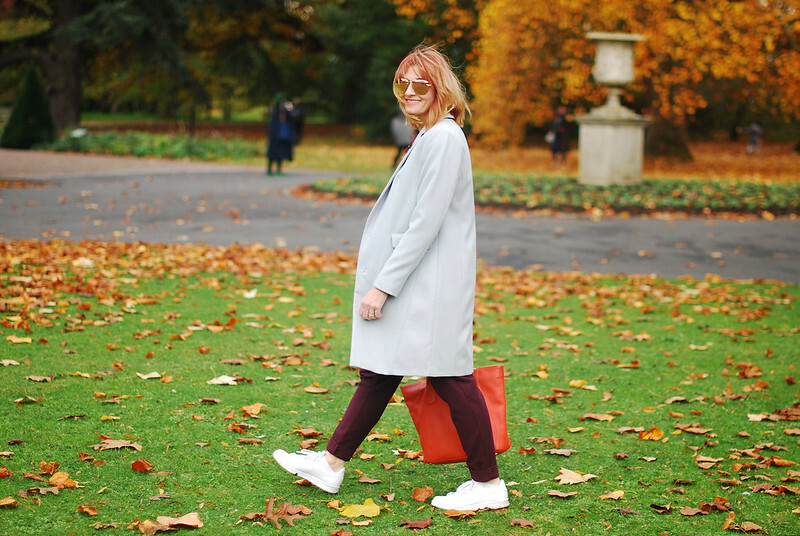 As for what I wore: I’m finally showing you my new grey Marks & Spencer coat (I actually wore it with the jumpsuit but never featured it in the photo shoot) – I have a feeling I’m going to be wanting a duster coat in every colour imaginable eventually. They’re just so smart and flattering. It may have been cold (bloody freezing, more like) but I’m a squinter even with grey winter skies so my Quay Australia sunglasses not only gave my frown lines a rest but also reflected all the leaves in the photos (how cool do they look?). 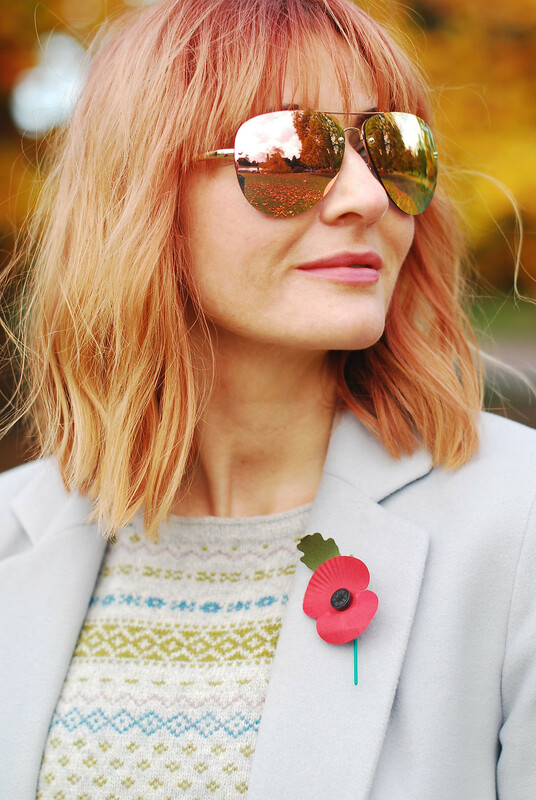 And I’d forgotten to bring my sparkly poppy brooch so got one of the paper ones when making my donation – I always love that pop of red you get from your poppy at this time of year. 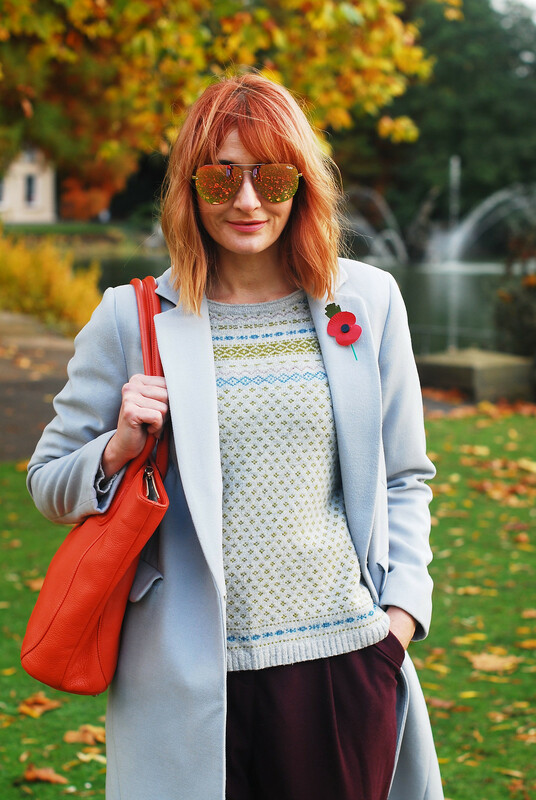 We took these photos after lunch as the sun was just starting to drop – I took my scarf and gloves off for the shoot but somehow it was a touch less windy and sunnier than it had been for most of the day so I was thankful for that brief respite. Otherwise I was bundled up like I was on an Antarctic expedition… I don’t do cold weather very well! I forgot to say please excuse the hair – I’d been blown to smithereens earlier in the day and hadn’t put a brush in my bag. Sometimes you just gotta go with a bit of realism. 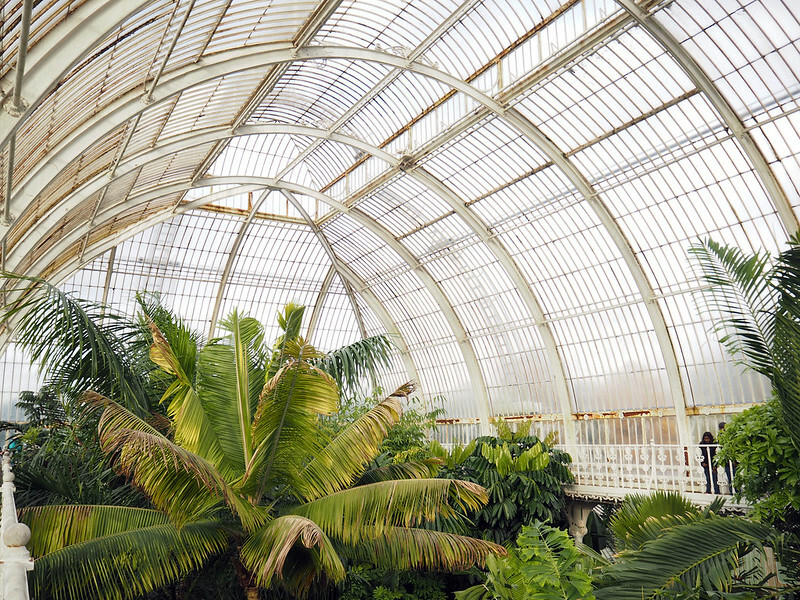 HAVE YOU EVER BEEN TO KEW GARDENS OR (ESPECIALLY NON-BRITS) ANY OTHER LONDON PARK – WHAT WAS YOUR FAVOURITE? COMMENT BELOW, OR TAKE IT TO TWITTER @NOTLAMB! Fab photos! 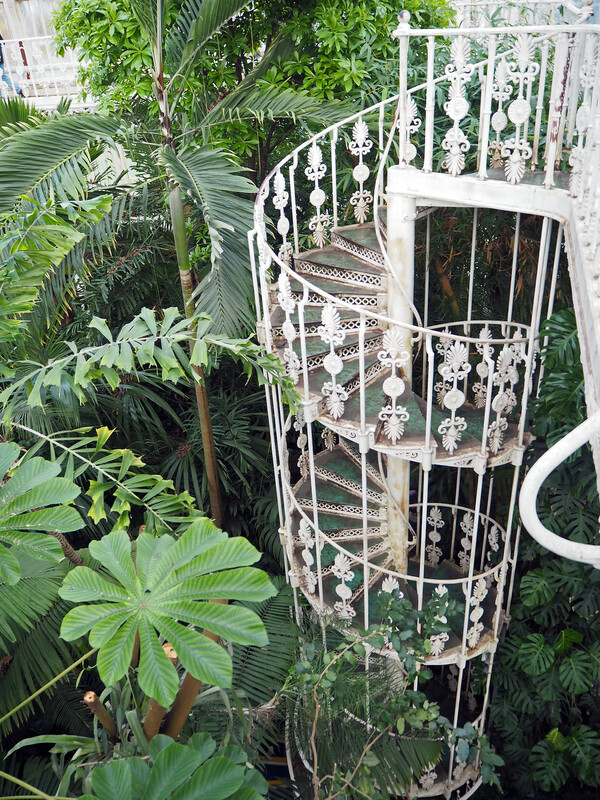 I was at Kew Gardens last week on a visit to London. I love it there! My sister has a guest pass – can you believe it was once free to get in? Beautiful photos. I really enjoyed looking at these beautiful colors on you photos. And love your style and look, dear. Catherine, that sweater is so lovely. It reminds me of my infatuation with Benetton sweaters. Do you remember? I know you must have also loved the craze of Benetton when we were in high school. Oh, I got a job just so I could purchase those lovely sweaters. Also, you should never apologize for your hair! It's quite lovely!! PS I hope it's ok that I included links to my 3 Zara DIY pants. They are more of an outfit post with a short DIY included. Thanks. You look absolutely fabulous in casual layers sightseeing!! 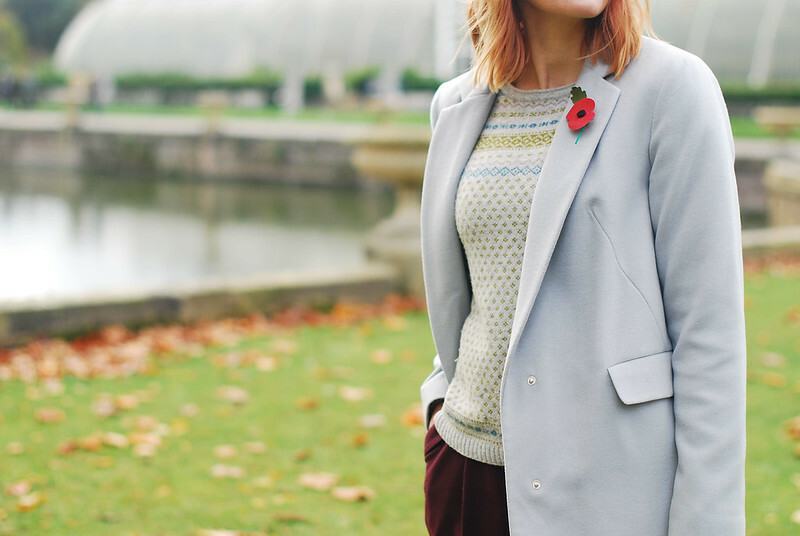 I adore the poppy brooch! How lovely to see the Kew in fall. It's been ages since I was there. The Poppy you have is amazing. Nothing at all like the ones we get here. That picture of you with the poppeys reflected in your sunglasses.. brilliant. Of course you looked elegant. And warm. Not an easy styling task. And thank you for choosing me as a featured favourite. Very nice of you. London is on my list of places to visit! 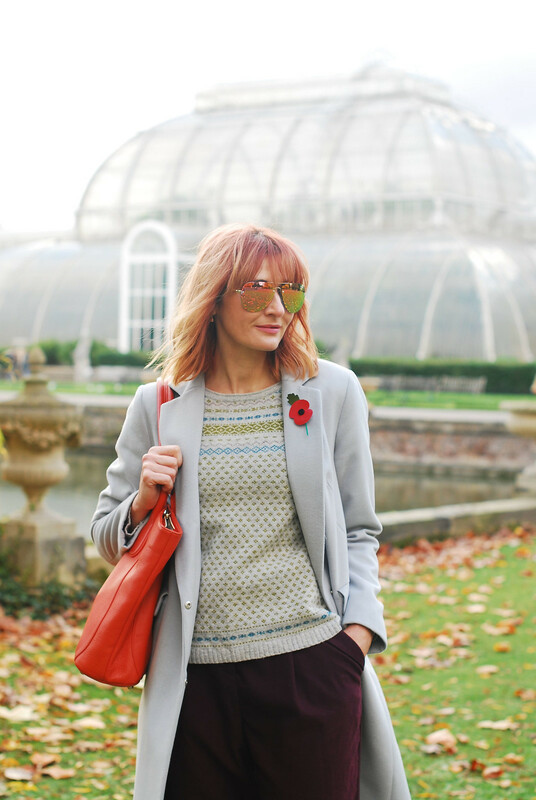 Kew Gardens looks beautiful, and you are dressed perfectly for a day of sightseeing – stylish yet comfortable (in a good way!)! Thanks for including me in last week's featured favorites! I've been feeling really down, and seeing myself there really brightened my day! Thank you! I love to be able to see the park through your glasses. 1.-Will you have another meet up like last year? 2.- Can I join you? What a beautiful place! Love the changing leaves too. Your outfit is lovely. Big fan of the adorbale pin on your lapel and the coat looks like a perfect compliment to your casual abd colorful outfit. Love the shades on you! Great sight-seeing outfit! I LOVE the sneakers! So practical for sight-seeing! Great coat as well! Gorgeous pictures. Beautiful London & beautiful you! I love a duster for all the reasons you've given (as long as wearing one doesn't involve housecleaning). Thanks for sharing the sights from your visit and for hosting. Lovely outfit! The sweater is really pretty! What a great place to visit Catherine!! I love the pin on your coat—it's a great way to add some pizzazz to a touring outfit!! And the hair looks just fine—heck, that's what mine looks like on a great day! 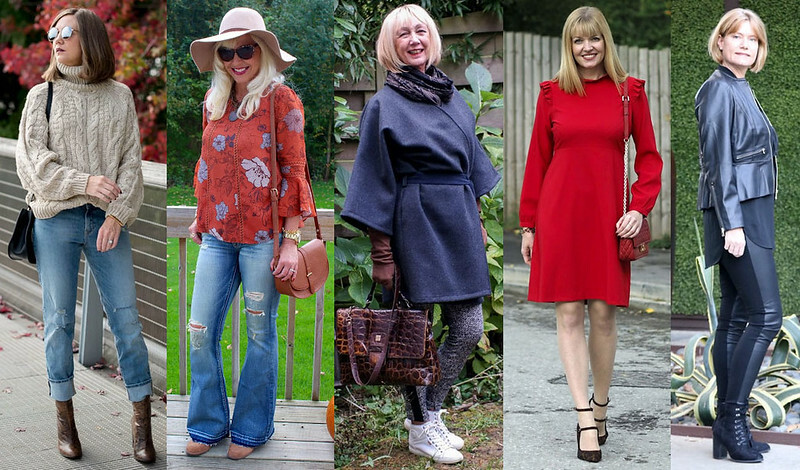 You look fabulous in this wonderfull autumn style.